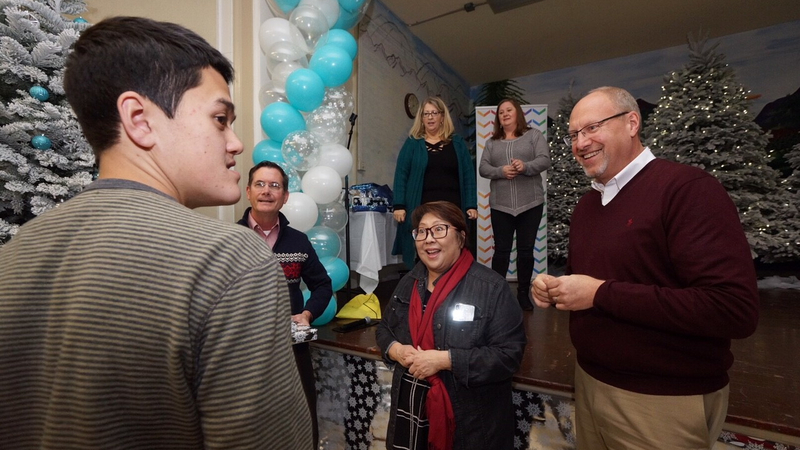 The Santa Rosa Integrated Wellness Center and Comcast NBCUniversal hosted a “Winter Wonderland” event to support families and children impacted by the 2017 North Bay wildfires. The new Wellness Center, created by Santa Rosa City Schools (SRCS), is also receiving generous support from Kaiser Permanente, the North Bay Fire Relief Fund and United Way of the Wine Country. The holiday celebration also marked the grand opening of the new center and provided an opportunity to support the families and children that are still living in temporary housing. The celebration featured games, holiday activities, entertainment, food and gifts for the impacted children. During the 2017 fires, more than 800 families within SRCS lost their homes and many others suffered loss, trauma and other forms of distress. Hundreds of those families are still trying to recover from the devastation. Due to school closures and other issues during the fires, many students struggled to return to their previous academic achievement levels. After assessing the overall impact to the community, SRCS determined that the traditional school-year support model was not capable of addressing the full scope of needs the community was facing. In response, SRCS formed a partnership with Comcast NBCUniversal, Kaiser Permanente, the North Bay Fire Relief Fund and United Way of the Wine Country to create the Santa Rosa Integrated Wellness Center. Comcast NBCUniversal donated $300,000 to SRCS for the development of the Wellness Center and more than 500 Comcast employees, their families, and community volunteers helped repair and remodel the facility during the annual Comcast Cares Day. Academic Support – a SRCS certificated teacher to provide tutoring, books, computers. Counseling – crisis counselors to provide support and referrals, for students and parents. Basic Nursing Services – a school nurse to provide vision and hearing screening, school-related health information and health referrals. Childcare Services for families using the Center. The Santa Rosa Integrated Wellness Center is located at the Lewis Campus buildings at 2232 Lomitas Ave. in Santa Rosa.